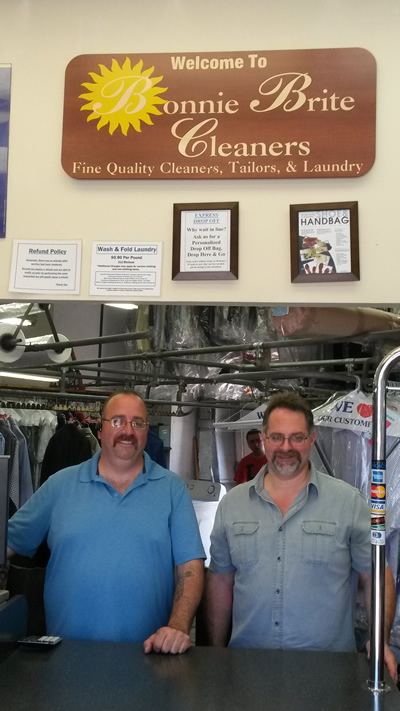 Meet Sal & Paul, owners and operators of Bonnie Brite Cleaners. The Vassallo brothers, along with their team, are proud to call this area home. We grew up here, we know the area, and we know what’s important to our customers. 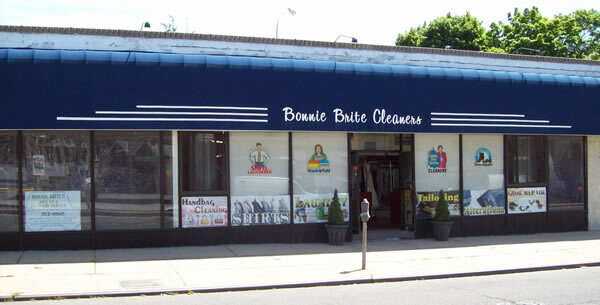 Bonnie Brite Cleaners has been a neighborhood fixture for over 40 years, and we’ve had the privilege of running the business for the last 19 years. It’s a pleasure for us to provide a traditional dry cleaning and laundering service. But in addition to cleaning both professional and casual clothing, we also clean area rugs, linens, curtains, and much more. Along with that, we also offer a fast and friendly delivery service. We’ll pick up your order, clean it, and drop it off in no time. But without innovation, a business can’t evolve. As a result, we have a free mobile app and web service for those who like to use technology to make life a little easier. Now it’s simpler than ever to schedule an order, check its current status and pay your balance with a few clicks. You can do all of this from home, work, or wherever you and your smartphone or computer happen to be. Along with providing a host of services and high-quality customer service, we also felt a responsibility to give back to the community. That’s why we’ve made it a point of pride to support local sports leagues, community causes, and stay involved. That way we can contribute, along with our neighbors, to improving our neighborhood and our region.So from our team, we want to thank all of you for your loyalty and continued patronage. We promise to keep doing our best, to keep improving our business, and to never forget that our customers come first.